J. and R.T. Tonson and S. Draper and R. and J. Dodsley, 1756. 3rd edn. 2 vols. 4to. Rebound in recent gilt tooled half calf on marbled paper-laid boards with new endpapers (a bright VG set). Pp. 90 + preface + xxxii + 372 [&] xii + 398, illus with frontispiece and 68 full page numbered engraved plates by Gerhard Vandergucht, decorated initials and vignettes in text (some pages with small water stains and a little browned and spotted; previous owner's faint ink inscriptions in contemporary hand on title pages). Grande Mer des Indes ou Ocean Oriental Indien. Map of Ceylon, Malaysia, Maledives, Sumatra, from: Atlas minor sive geographia compendiosa in qua orbid terrarum paucis attamen novissimis tablulis ostenditur - Atlas nouveau contenant toutes les parties du monde ou sont exactement remarquées les empires, monarchies, royaumes, états, républiques, & c. Amsterdam, R. & J. Ottens (1756). Engraving, original hand coloring, platemark: 523 x 613 mm. Small margins, cut just below the platemark at the upper margin. Good impression. Some very slight soiling but otherwise in good condition. 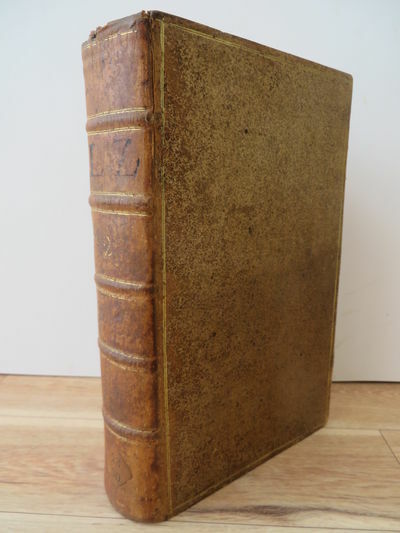 Paris: Desaint & Saillant, 1756. First Edition. Hardcover. Very Good. 4 volumes bound in 5. A handsome set. 1st edition. Quartos. Bound in contemporary mottled calf. 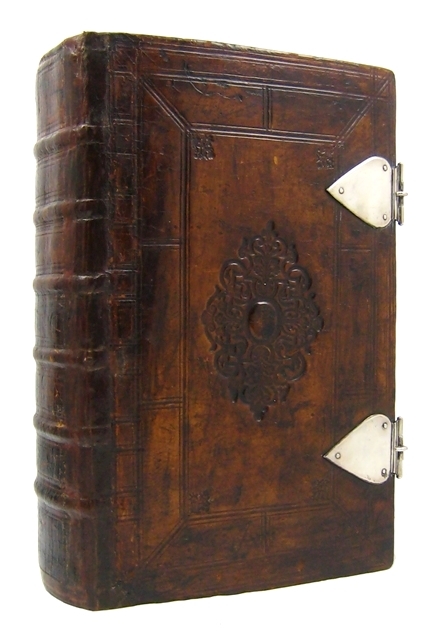 Six spine compartments, gilt ruled. Red morocco spine labels. All edges red, marbled end pages. Generally clean and fresh internally, a minimum of scattered spotting. Collated: cxviii, 471, ; 8, xcv, , 522; viii, 272, 292; viii, 542, ; vii, , 517,  pages. Volume 1 is in 2 parts. Good bindings and covers. Original boards. Each volume has been placed in a modern gray cloth clam shell case. Black spine labels with gilt lettering. Includes half-title in all 5 volumes and final blank in the last 2. <br> Refs: Cordier, Sinica II, 2767 - 2768. Lust 428. Brunet, II, 567-568. Atabey: The Ottoman World. I (1998), 535. <br> Joseph de Guignes was a noted French Orientalist and Sinologist. De Guignes originated the proposal that the Huns who attacked the Roman Empire were the same people as the Xiongnu mentioned in Chinese records. This view was popularized by his contemporary Edward Gibbon in Gibbon's work the Decline And Fall Of The Roman Empire. <br> An oversized or heavy book, which requires additional postage for international delivery outside the US. - Engraving, original hand coloring, platemark: 523 x 613 mm. Small margins, cut just below the platemark at the upper margin. Good impression. Some very slight soiling but otherwise in good condition. Le pitture di Pellegrino Tibaldi e di Niccol˜ Abbati esistenti nell'Instituto di Bologna. - 1 pièce manuscrite 1 In-4 07/03/1756 bon Brouillon d'un mémoire d'un officier servant au Canada, le chevalier de Bonne [probablement Louis de Bonne, colon et militaire qui servit au Canada, capitaine au régiment de Condé et seigneur canadien, neveu du marquis de la Jonquière et ancêtre du juge De Bonne ; il vint au Canada en compagnie du gouverneur La Jonquière et obtint une concession sur le littoral du Labrador pour y faire la pêche du loup-marin, puis une terre sur le Sault-Sainte-Marie, avec charge d'y créer un établissement utile aux voyageurs et d'intercepter le commerce des Anglais ; par la suite, il se distingua lors du siège de Québec où il mourut le 29 avril 1760]. Mémoire destiné au Garde des sceaux. "Le chev. de Bonne a l'honneur de représenter à Monseigneur le garde des sceaux, qu'il est arrivé au Canada en 1751, et qu'il se trouve dans le cas porté dans l'ordonnance du Roy de la même année, par laquelle Sa M[ajes]té ordonne que les officiers réformés soient remplacés dans les colonies suivant la datte des lettres et commissions qu'ils ont eues dans les régiments de France. Le chevalier de Bonne a servi longtems au régiment de Condé infanterie et s'y est conduit avec distinction et a été blessé de 2 coups de feu à l'attaque des retranchements de l'Assiette. En 1749, sa compagnie fut réformée ; il passa au Canada avec feu M. de La Jonquière son oncle, qui le recommanda au Ministre deux jours avant sa mort". Rare document. Og Den ei langt derfra anlagde fortreffelige Fæstning Christiansøe, Hvorudi forklares, alt hvad merkværdigt om disse tvende Lande, i deres nu værende Tilstand, er at agte; Hvortil endvidere føies, hvad Historierne saa vel gamle som nyere derom meddele. Kbhvn. : Glasing 1756. Med 30 smukke kobbertavler, hvoraf 13 er dobbelt-sidet, samt talrige kobberstukne vignetter i teksten. 4to. + 288 +  s. Rent og velholdt eksemplar med rødt snit og bred margin indbundet i samtidigt helskind med farvet titelfelt og rigt forgyldt ryg, bind med lette brugsspor. Eksemplaret har tilhørt Einar Christiansen. * Dette prægtige kobberstikværk fra rokokotiden, visende kort over Bornholm og Christiansø, prospekter af alle de bornholmske købstæder, kirker, mindetavler, runestene, etc., er den ældste beskrivelse af Bornholm og Christiansø og et hovedværk i dansk provinstopografi. The earliest description of the islands in the Baltic Sea 'Bornholm' and 'Christiansø' fully illustrated with 30 engraved maps and views, several folding. Bibl. Danica II,693. Aufrichtig Teutsch Redender Hebräer, welcher gründlich zeiget den Ursprung und die Schicksaale des Jüdischen Volcks wie auch Deroselben Kirchenweesen, Gottesdienst, Glaubens-Articuln, Lehrsätze, übrigen Gebrauche und besondere Lebensarth etc. ALL THE ORATIONS OF DEMOSTHENES, PRONOUNCED TO EXCITE THE ATHENIANS AGAINST PHILIP, KING OF MACEDON. 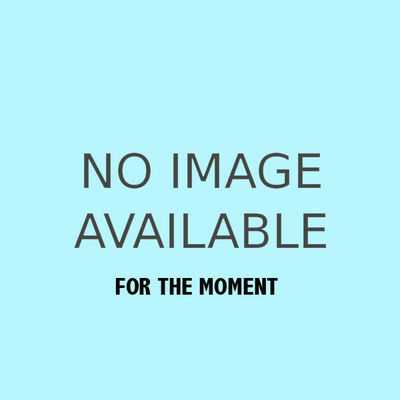 Translated into English; Digested and Connected, So as to form a regular History of the Progress of the Macedonian Power: with Notes Historical and Critical. London: W. Johnston, 1756. The First Edition of Thomas Leland's acclaimed translation into English. 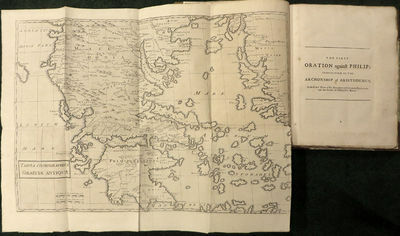 With a large multi-folding map of the geography of Magna Graecia. 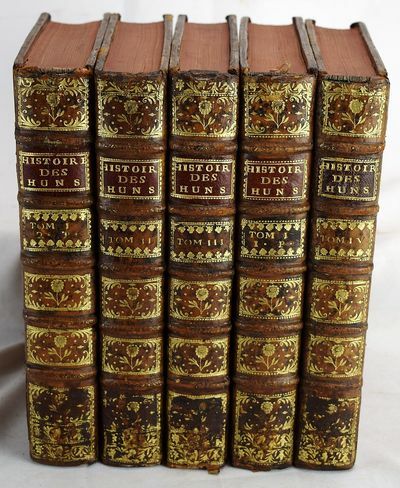 4to, handsomely bound in fine three-quarter polished calf over marbled boards to contemporary style, the spine with raised bands blind ruled, contrasting red and green morocco lettering labels gilt lettered and ruled in gilt, a rare, untrimmed copy still with the printer's edges. [xxiv], , 172,  pp. A very handsome and beautifully preserved copy, edges untrimmed, the pages crisp and clean and unpressed. 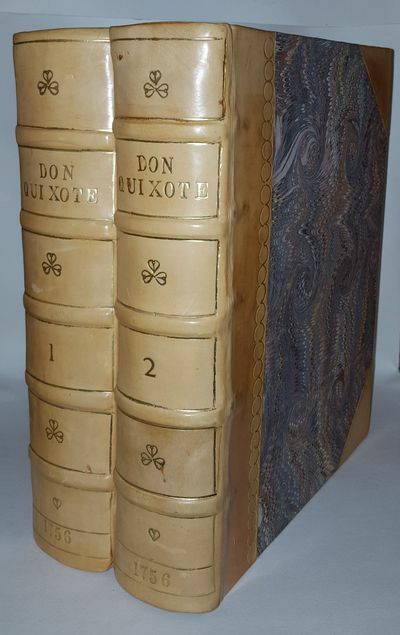 FIRST EDITION OF THOMAS LELAND'S ACCLAIMED TRANSLATION OF THIS GREAT CLASSICAL WORK. Demosthenes particularly, is considered to embody the model of the ancient political orator, and might well be regarded as the greatest orator of all time. He began as a speech writer and worked his way to the position of prominent politician, earning the admiration of the Greeks by constantly urging resistance to the encroachments of Philip II of Macedon as he threatened Athens. He played a great and important role in negotiating public policy towards the Phillippic threat in the following years. A prolific orator and statesman, sixty-one of his speeches have survived and many are translated here into English. Especially significant are the inclusion of his speeches regarding the Phillippic threat. Starting in 352 BC, Demosthenes began a series of speeches to excite Athenians against the military encroachment of Philip, King of Macedonia (and father of Alexander the Great). Though ultimately defeated, Demosthenes continued to use his great oratory powers to fight against the Macedonians for fifteen years. Thomas Leland, eminent historian and fellow of Trinity College Dublin published this translation from the Latin in 1756. Leland had earlier published THE HISTORY OF THE LIFE AND REIGN OF PHILIP, KING OF MACEDON, an important work on early Macedonia and Greece (copies available). Rome: Gioacchino & Giovanni Giuseppe Salvioni, 1756. 8vo (208 x 133 mm). , 407,  pp. 2 parts, the Office of the Dead separately titled. Printed in red and black. Engraved frontispiece and 12 full-page engravings by Arnold Van Weserhout and Jacob Frey after Joseph Passarus (Giuseppe Passaro), two engraved title vignettes, 12 engraved tailpiece vignettes, most unsigned, a few signed by M. Schedi (engraver), 3 engraved capital initials, numerous red-printed woodcut initials. Foxing, occasionally severe, short marginal tear to fol. Z7. 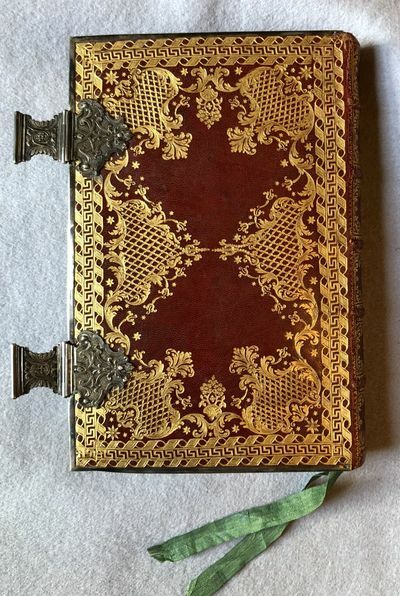 An unusual and striking rococo binding, in fine condition, on a luxuriously printed and illustrated eighteenth-century Office of the Virgin. Gumuchian, Catalogue de Reliures du XVe au XIXe siecle, no. 225, plate 68. London: J. Knapton; C. Hitch and L. Hawkes; A. Millar; R. and J. Dodsley; and M. and T. Longman, 1756. Full-Leather. Good. Not paginated. (All pages present, however). 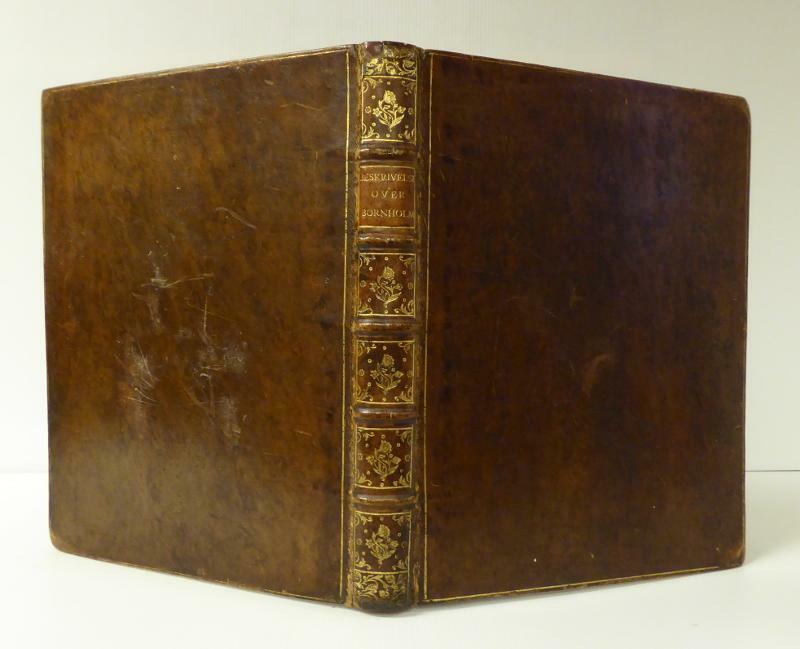 Full brown leather with double gilt borders on cover and double gilt lines on spine. Spine rubbed, call number sticker to bottom. Initials 'L-Z' and '2' marking volume on spine. Minor spotting in margins. Top half of cover a bit discoloured. Sammlung vermischter Schriften. Erster (und) Zweyter Theil. XII, 316 S. (durchgehend paginiert). Mit zahlr. Holzschnittvignetten. Leder d. Zt. m. Rückenvergoldung. Sehr seltene erste Ausgabe. - WG. 20. - Die Herausgabe der Schriften, zu der Gellert sich nur sehr widerwillig bereit erklärte (vgl. die Vorrede), war seine Reaktion auf eine gegen seinen Willen in Frankfurt veranlaßte Veröffentlichung einer Auswahl seiner Beiträge in den "Belustigungen des Verstandes und des Witzes". Diese Beiträge liegen hier in von Gellert überarbeiteter Form vor, einige neue sind dazugekommen. - Unter Gellerts Beteiligung wurde ein Neudruck mit Textkorrekturen und abweichender Paginierung angefertigt, datiert ebenfalls 1756. - Angebunden: Ders. Geistliche Oden und Lieder. Leipzig Weidmann 1757. XXIV, 160 S., 2 Bll. Mit zahlreichen Holzschnittvignetten. - Erste Ausgabe. - WG. 21. - Einband gering bestoßen u. etwas beschabt, unteres Kapital abgestoßen, leicht, vereinzelt stärker gebräunt, gering, stellenweise stärker fleckig, ein Blatt mit Randausriß, Rückentitel: Gellerts Schriften 3. Band. Anti-Taumaturgie oder die Bezweiflung der Wunder. 17 x 10 cm. 198 Seiten, 1 (w) Blatt. Neuerer marmorierter Pappband im Stil der Zeit. *Holzmann/B. I, 2440. - Sehr seltene erste Ausgabe der materialistischen Schrift. Karl Knoblauch (1756-1794) war ein deutscher Jurist und Bergrat in Diensten der Fürsten von Oranien-Nassau in Dillenburg und als philosophischer Autor ein Vertreter der materialistischen und religionskritischen Spätaufklärung. Er gehört zu den radikalsten deutschen Materialisten des 18. Jahrhunderts, war ein streitbarer Atheist und unversöhnlicher Gegner der Kirche. Er sah seine Aufgabe als Aufklärer vor allem darin, Licht in die Entstehungsursachen des Aberglaubens und der Wunder zu bringen. - Titelrückseite mit Sammlerstempel, sauber und gut erhalten. chez Duchesne. Pp. 215 (1). Con bell'antiporta allegorica incisa in rame. Unito a: SAINTE FOY (DE) PHILIPPE AUGUSTE. La noblesse militaire ou le patriote francois. 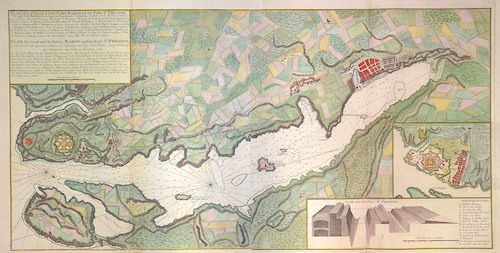 S.l.n., 1756. Pp. v (1), 210. Due parti in un volume di cm. 16. Legatura del tempo in piena pelle con titoli su tass. e fregi floreali al dorso; tagli rossi. Antiche firme di possesso al frontespizio, trascurabili mende alle cuffie, sporadiche fioriture, peraltro esemplare ben conservato. Prima opera: Gabriel Francois Coyer (1707-1782), gesuita francese, fu letterato e pensatore economico forse più apprezzato fuori dai confini nazionali; fu infatti membro della Società Reale di Londra. La Noblesse commercante fu la sua principale opera. Pubblicata nel 1756 scatenò numerose reazioni dottrinali, sfociate in altrettante edizioni a stampa. Le tesi contenute nella Noblesse, rivolte al progresso dell'economia, ruotavano intorno all'affermazione di limiti da imporre agli aristocratici nell'esercizio delle attività commerciali. Nello stesso anno (nel giro di pochi mesi) uscirono diverse edizioni. Cfr. Barbier III, 417; Kress 5504; Einaudi 1388. 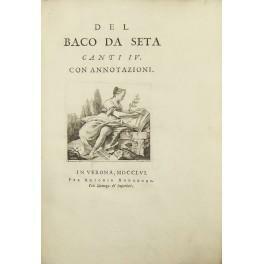 Seconda opera: Philippe Auguste de Sainte Foy (1721-1785), conte e cavaliere d'Arcq, scrisse questo saggio in risposta alla Noblesse commercante di Coyer, affermando principi tradizionali basati sulla stretta relazione tra nobiltà e dignità militare. Anche in questo caso uscirono diverse edizioni nel medesimo anno, distinguibili dal numero delle pagine. La nostra edizione al frontespizio riporta "troisieme edition", ma appare assolutamente conforme all'edizione originale descritta nel catalogo Einaudi. Cfr. Barbier, III, 418; Einaudi, 149; Kress 5490; Goldsmiths 9138..
Nuova succinta prattica civile, e criminale utile, e necessaria a' giudici, procuratori, attuarj, e cancellieri criminali ridotta in dialogo fra maestro, e discepolo per maggiore intelligenza de' novizj, e distinta in quattro parti, nell'ultima delle quali si aggiunge una istruzione necessarissima per i notari novelli con suo indice de' capitoli, e delle materie raccolta massime per comodo de' novizj dal dottore Arcangiolo Bonifazj . Kleine Chirurgie oder Hand=Buch der Wund-Arzenei in welcher kurzer doch deutlicher Unterricht und Begriff dieser Wissenschaft gegeben, auch die nöthigste Werkzeuge in Kupfer vorgestellet werden.ORIGINAL von 1756! 1756 1756 - Og Den ei langt derfra anlagde fortreffelige Fæstning Christiansøe, Hvorudi forklares, alt hvad merkværdigt om disse tvende Lande, i deres nu værende Tilstand, er at agte; Hvortil endvidere føies, hvad Historierne saa vel gamle som nyere derom meddele. Kbhvn. : Glasing 1756. Med 30 smukke kobbertavler, hvoraf 13 er dobbelt-sidet, samt talrige kobberstukne vignetter i teksten. 4to. + 288 +  s. Rent og velholdt eksemplar med rødt snit og bred margin indbundet i samtidigt helskind med farvet titelfelt og rigt forgyldt ryg, bind med lette brugsspor. Eksemplaret har tilhørt Einar Christiansen. * Dette prægtige kobberstikværk fra rokokotiden, visende kort over Bornholm og Christiansø, prospekter af alle de bornholmske købstæder, kirker, mindetavler, runestene, etc., er den ældste beskrivelse af Bornholm og Christiansø og et hovedværk i dansk provinstopografi. The earliest description of the islands in the Baltic Sea 'Bornholm' and 'Christiansø' fully illustrated with 30 engraved maps and views, several folding. Bibl. Danica II,693. 1. Teil: 2 Bl, 302 S., 8 gefaltete Karten 2. Teil: 3 Bl., 387 S., 3 gefaltete Karten 4. Teil: 1 Bl., 332 S., 3 gefaltete Karten 24,5 x 20,5 cm Pappband, Titel auf Rücken. Erster Theil, welcher die Feldzüge von 1756 und 1757 enthält (1794 erschienen), Stempel vom Vorbesitzer auf Vorsatz, Zweiter Theil, welcher den Feldzug von 1758 enthält (1785 erschienen), Vierter Theil, welcher den Feldzug von 1760 enthält (1789 erschienen), Einbände durchweg berieben, bestossen, mit angeplatzten Ecken und Bezugsfehlstellen. Seiten altersbedingt gebräunt, insgesamt noch gutes Exemplar. , Preis inkl. MwSt..
Francois Changuion, 1756. 4 voll. in 12_, leg. in pelle, nervi, titolo ed eleganti fregi in oro al dorso, tagli rossi, pp. 372, 447, 344, 337. Etichetta di antica biblioteca alla sguardia e relativo timbro al frontespizio dei quattro voll., evidente gora in prima bianca del I vol., fori di tarlo ai piatti di tutti i voll. e al dorso del vol. I, capitello esposto al vol. I, abrasioni alla pelle._Interno fresco e nell'insieme buone condizioni. Veduta dell'avanzo laterale del Portico che circondava la Cella del Tempio di Antonino Pio, inoggi la Dogana di Terra. 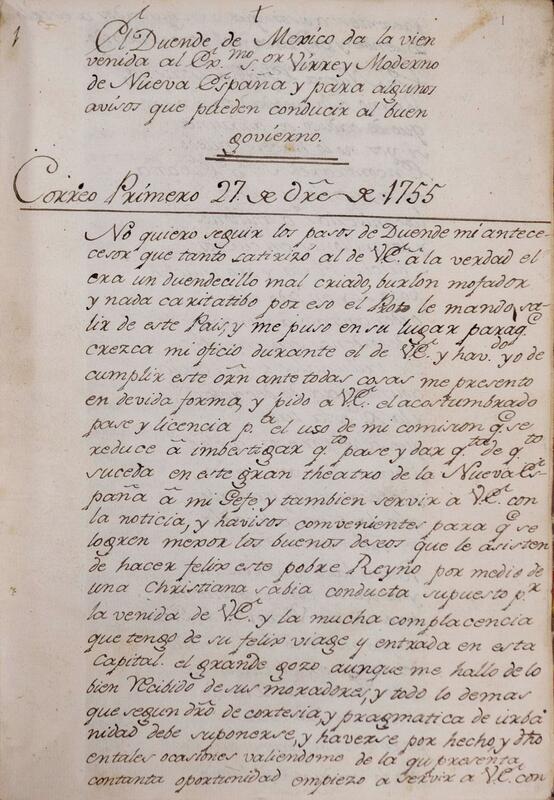 1756 - Ms in ink. Single page. Folio. Folded twice, repairs to old folds. New Orleans, December, A very rare encrypted despatch sent from French New Orleans by Louis Billouart de Kerlerec, Governor of Louisiana, to the Secretaire d'Etat a la Marine et aux Colonies. Kerlerec became governor of Louisiana in 1753, replacing Vaudril. ?Despite total French neglect of the colony during the Seven Years' War, Kerlerec manages to maintain aggressive defence of the Mississippi Valley, by funnelling Louisiana's meagre military resources into the Fort Duquesne area and by first luring the Cherokee out of the English camp and then mobilizing them against their former allies? (Louisiana Personalities ). ?This message appears to be encrypted in the nomenclator, the standard cryptosystem of the time. The nomenclator had developed by the 1700s into a list of about 1000 names and common words with their equivalents, usually three or four digits, and was chiefly used by governments. If a cryptoanalyst had enough long messages to provide statistics and other clues, such as partial encipherments, he could solve them. When ambassadors or high ranking military officers were given nomenclators to use on assignment, copies often survive in archives. When individuals make them up for personal use, they are rarely found and consequently anyone seeking to read the messages encrypted using them has to reconstruct them. Since this usually requires a fair volume of ciphertext, individual cryptograms are rarely solved? (Kahn). Hand-colored etching by famous British caricaturist and printmaker James Gillray (1756-1815), published by H. H. Humphrey, London, 1796. French dancer Charles Didelot (1767-1837) performs on the stage between two women (his wife Rose on the left, and Mme. Parisot (c.1775-1837) on the right). Size is 17.4 x 12.5 inches (or 44 x 31.75 cm), some spots with rust, overall age toning, tape marks over the top margin, no cracks or major problems, in very good condition. Raccolta milanese dell'anno 1756 [-1757]. nella Stamperia di Antonio Agnelli. 2 volumi in-4° (cm. 22,6), legature in cartonato d'attesa con titolo ms. su etichette al dorso; carte in ottimo stato. Tutto il pubblicato di un'interessante idea editoriale che precedeva di dieci anni il Caffè dei Verri. L'Agnelli si cimentava in una battaglia culturale insieme ai Trasformati, illuministi a metà che aprivano con moderazione ai temi della vita contemporanea. La Raccolta «si distribuiva un foglio per settimana, e vari opuscoli di viventi, e di morti autori contiene» [Annali letterarj d'Italia, Modena 1762, p. 185]. 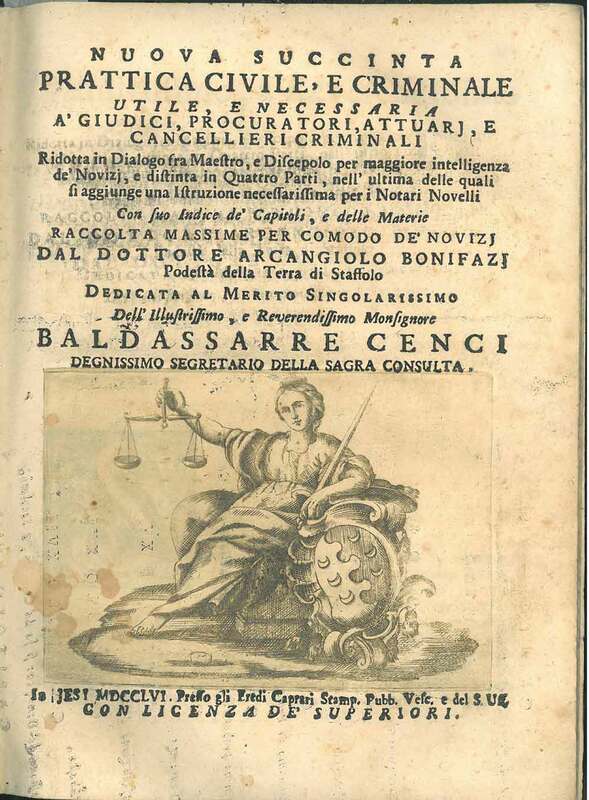 Pur tuttavia i Trasformati si offesero delle critiche de recensori [Memorie per servire alla storia letteraria, Venezia 1756, VIII, 29] e mollarono l'Agnelli, che per l'anno successivo fece da sé: «Sono venuto in determinazione di non defraudare il pubblico di alcune opericciuole» [p.(3)]. Cfr. R. Martinoni, Un foglio erudito lombardo del Settecento. La Raccolta milanese (1756-1757), in Archivio Storico Lombardo CXVII (1991) pp. 203-257. Ottimo esemplare. Veduta dell'Anfiteatro Flavio detto il Colosseo. 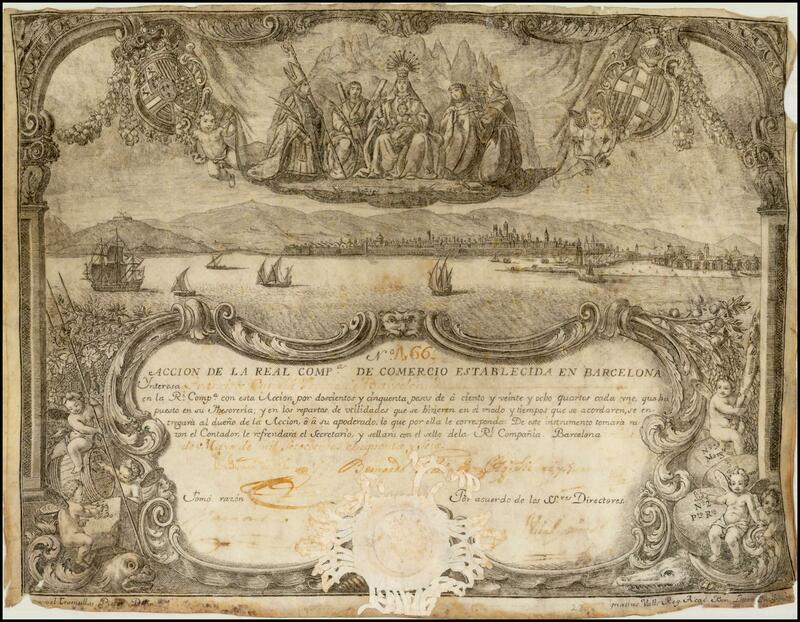 Real Compañia de Comercio de Barcelona] [Printing on vellum] Tramullas I Roig, Manuel. Veduta interna del Sepolcro di S. Costanza, fabbricato da Constantino Magno, ed erroneamente detto il Tempio di Bacco, inoggi Chiesa della medesima Santa. "Acquaforte e bulino, 1756, firmata in lastra . Esemplare della contemporanea tiratura romana, terzo stato di sei, con indirizzo e prezzo, stampata dall'autore nella propria tipografia di Strada Felice. Magnifica prova, impressa su carta vergata coeva con filigrana ""doppio cerchio e giglio"", con pieni margini, in perfetto stato di conservazione. Nel margine inferiore si trovano delle contemporanee scritte ad inchiostro bruno, traduzioni in lingua francese delle iscrizioni incise. Della serie Vedute di Roma. L'opera consiste in 135 lastre prodotte individualmente dal Piranesi per almeno 30 anni, da circa il 1745, fino alla data della sua morte. All'opera sono aggiunte poi 2 vedute realizzate dal figlio Francesco. Per la prima volta furono edite dall'editore Giovanni Bouchard nel 1751 (34 lastre), successivamente dallo stesso Piranesi editore a Palazzo Tomati in Roma (scritta che appare su molte tavole), fino alla stesura definitiva composta da 137 lastre. Successivamente alla morte dell'autore le lastre furono ereditate dal figlio Francesco, che ne curò la pubblicazione prima nella capitale, e successivamente a Parigi. Le lastre furono poi acquisite dalla Calcografia Camerale, oggi Calcografia Nazionale, dove sono tuttora conservate. Le opere che proponiamo fanno parte di un album nella stesura definitiva, stampato a Roma tra il 1770 ed il 1780. Una vista dell'interno della chiesa di Santa Constanza, tratta da ""Vedute di Roma"". Molto evocativo l'inconsueta forma circolare della chiesa del IV secolo. In primo piano un gruppo di uomini e donne in abito aristocratico. La chiesa di Santa Constanza è una delle più antiche di Roma, e conserva la stessa forma fin dal IV secolo dC. La sua costruzione si lega tradizionalmente all'imperatore Costantino che l'avrabbe voluta come mausoleo per la figlia Constantina. Studi più recenti, però, suggeriscono, invece, che la chiesa fu eretta per Helena, un'altra figlia di Costantino e moglie dell'imperatore Giuliano." "Etching and engraving, 1756, signed on plate. Example from the contemporary Roman Edition. A very good impression, printed on contemporary laid paper with watermark ""encircled fleur de lys"", with margins, good condition. Ink addidition at the lower white margin, trasnslation of the title made by a contemporary French hand. Taken from Vedute di Roma; the whole work consists of 135 plates which have been individually produced by Piranesi along 30 years, from 1745 circa until his death. Two more works have been subsequently added, two plates by his son Francesco. 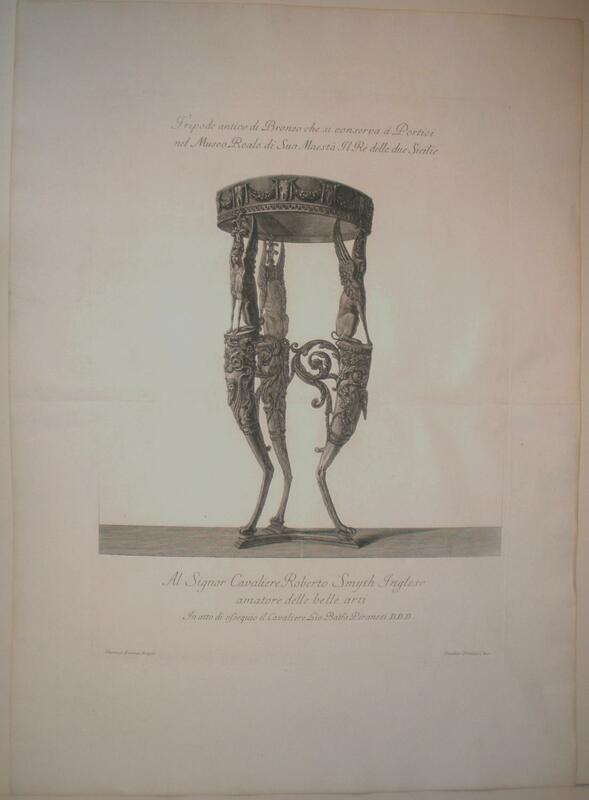 They have been printed for the first time in 1751 (34 plates) by the editor Giovanni Bouchard, afterwards by Piranesi himself, publisher in Palazzo Tomati in Rome (as it is written on m,any plates), until the final edition of 137 plates. 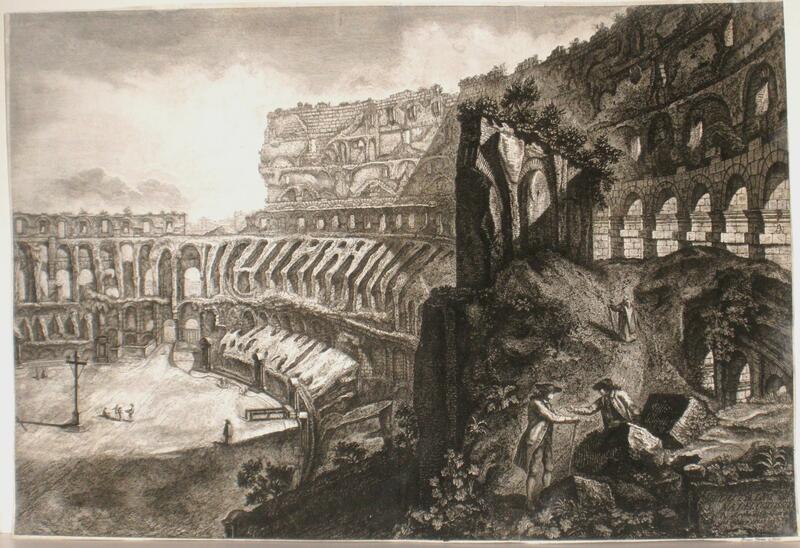 After Piranesi's death, his son Francesco inherited the plates, editing them first in Rome and then in Paris. The Calcografia Camerale, nowadays Calcografia Nazionale, has then bought the plates which are now kept inside the building. A view of the interior of the Church of Santa Constanza, from the Vedute di Roma. The view brilliantly evokes the unusual circular layout of the 4th century church, and the foreground is populated by a number of men and women in Italian aristocratic dress. The Church of Santa Constanza is one of Rome's oldest, having stood in much the same form since the 4th century AD. Traditionally viewed as having been constructed by the emperor Constantine as a mausoleum for his daughter Constantina, more recent scholarship suggests it was likely built instead for Helena, another daughter of Constantine and wife of the Emperor Julian." Hind 37, III/VI; Focillon 811.
LETTERS on the most common, as well as important, Occasions in Life, by Cicero, Pliny, Voiture, Balzac, St. Evremont, Locke, Ld Lansdowne, Temple, Dryden, Garth, Pope, Gay, Sift, Rowe, and Other Writers of distinguish'd Merit; With many Original Letter and Cards, By the Editor. Who has also prefix'd, a Dissertation on the Epistolary Stile; With proper Directions for addressing Persons of Rank and Eminence. For the Use of young Gentlemen and Ladies. London. J. Newbery.1756. xxvi, , 352 pages. Original sheep expertly re-backed and repaired. 108 x 72 mm. First edition. Roscoe J266(1). A very popular work that had reached its seventh edition by 1767.However the first edition is rare. 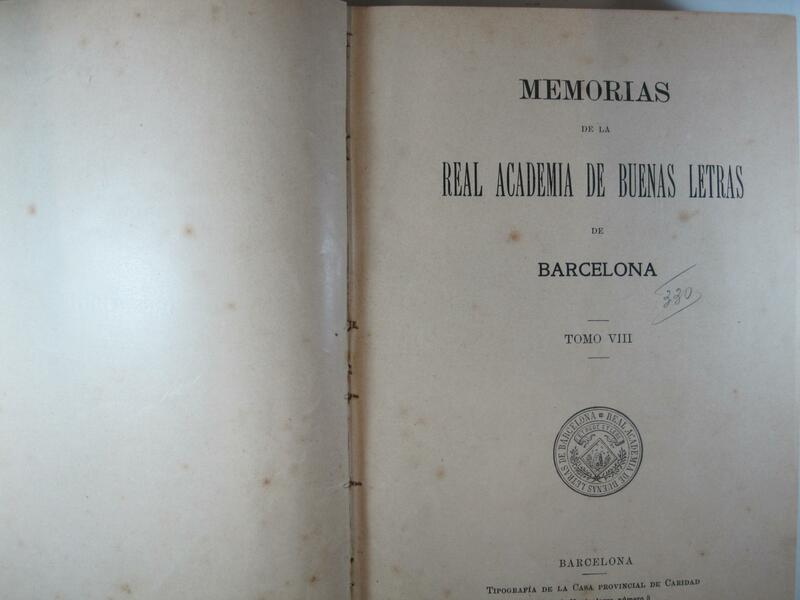 REAL ACADEMIA DE BUENAS LETRAS DE LA CIUDAD DE BARCELONA; ORIGEN, PROGRESOS, Y SU PRIMERA JUNTA GENERAL, BAXO LA PROTECCION DE SU MAGESTAD, CON LOS PAPELES QUE EN ELLA ACORDARON: 8 VOL. LE LARGE DE LIGNAC (Abbé Joseph-Adrien)]. 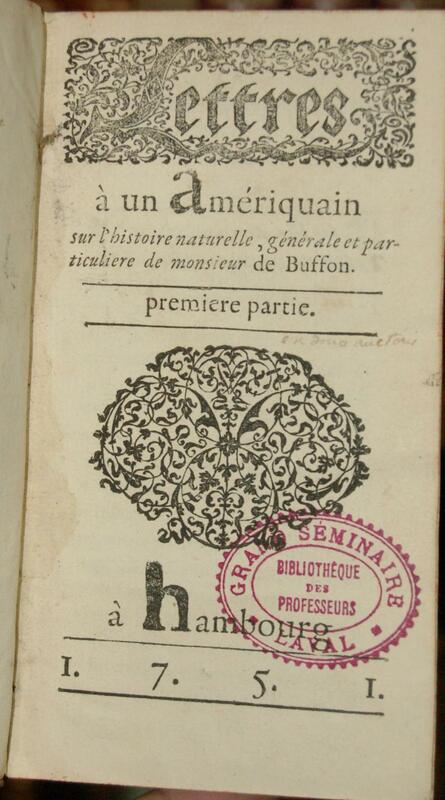 Lettres à un Amériquain sur l&#146;histoire naturelle, générale et particulière de monsieur de Buffon. Hambourg [Paris, Philippe-Denis Pierres? ], 1751-1756, pleine basane de l'époque, dos à nerfs ornés, coiffes et coins habilement restaurés. -Petite restauration avec du papier de l'époque dans la marge inf. d'un f. du 1er vol. 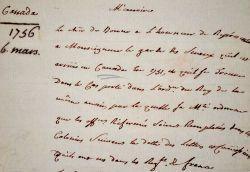 (p. 17 de la 9e lettre), sans atteinte du texte ; lég. mouillures marginales sur une quinzaine de ff. du 1er vol. et la moitié des ff. du 3e vol. ; cachets d'une bibliothèque religieuse sur les ff. de titre. -Malgré les défauts secondaires signalés, très bon exemplaire. - 9 parties en 3 volumes in-12 de (2)-127-(1)-50-(2)-57-(1)-66-(2)-66-(4)-31-(1)-96-69-(1) pp. (parties 1 à 3 : lettres 1 à 9); (2)-78-(2)-92-(2)-185-(1)-16-238 pp. + 2 ff. d&#146;errata (dont 1 dépl.) (parties 4 à 6: lettres 10 à 17) et (2)-238-(2)-258-(2)-276 pp. + 3 ff. 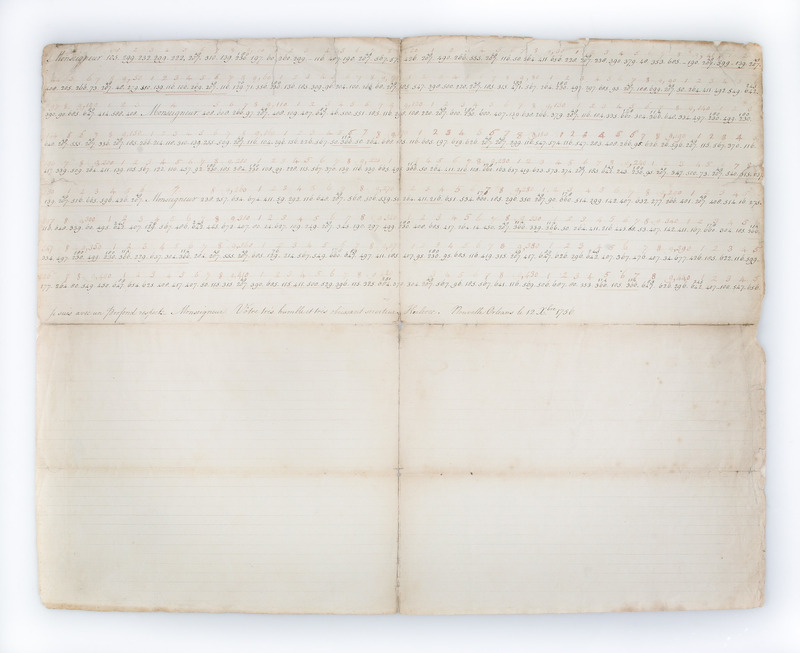 d&#146;errata (parties 7 à 9: lettres 18 à 36) ; Les pp. 41 à 50 de la 3e lettre sont reliées au début du 1er volume, à la suite du feuillet de titre.A partir de la 6e partie, le titre porte: Suite des lettres à un Amériquain, sur les IVe et Ve volumes de l&#146;Histoire naturelle de M. de Buffon; et sur le Traité des animaux de M. l&#146;Abbé de Condillac.Edition originale. Très rare complète.Jacques Roger, Les sciences de la vie p. 799: 484 et 485; Jacques Roger, Buffon p. 624.Ces Lettres, inspirées sinon écrites par Réaumur, "forment la plus violente attaque dirigée contre Buffon." (Roger, Sciences de la vie p. 691). Le Père de Lignac, oratorien, était un ami intime et le collaborateur de Réaumur. L&#146;académicien Bouguer participa également à cet ouvrage. "L&#146;objet essentiel [des premières lettres] est de montrer que Buffon "contredit la génèse en tout", ruine la religion et chasse Dieu de l&#146;histoire naturelle." (Roger, Buffon p. 257). "Les dernières lettres, qui portent sur la génération spontanée et les expériences de Needham, sont les seules à avoir un intérêt scientifique." (Roger, Buffon p. 258). On y trouve une réfutation, sous le contrôle de Réaumur, des expériences et des idées de Needham. (cf. Daumas). Artist: Homann Erben (d) ; issued in: Nuremberg; date: (d)1756 - - technic: Copper print; - colorit: colored; - condition: Some restoration at lower centerfold, missing part on right margin replaced; - size (in cm): 45 x 90; - description: Map shows the maps of Mahon and St. Philippe in Menorca, inset map shopw Plan of Fort St. Philippe and the city wall; - vita of the artist: Johann Babtiste Homann (1664-1724) was born in Oberkammlach, the Electorate of Bavaria. Although educated at a Jesuit school, and preparing for an ecclesiastical career, he eventually converted to Protestantism and from 1687 worked as a civil law notary in Nuremberg. 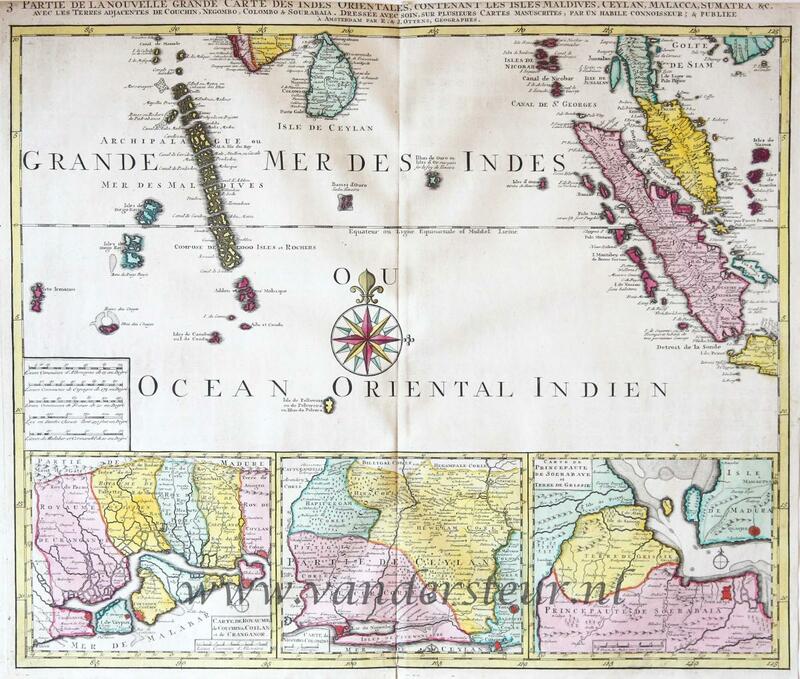 He soon turned to engraving and cartography; in 1702 he founded his own publishing house.Homann acquired renown as a leading German cartographer, and in 1715 was appointed Imperial Geographer by Emperor Charles VI. Giving such privileges to individuals was an added right that the Holy Roman Emperor enjoyed. In the same year he was also named a member of the Prussian Academy of Sciences in Berlin. Of particular significance to cartography were the imperial printing privileges (Latin: privilegia impressoria). These protected for a time the authors in all scientific fields such as printers, copper engravers, map makers and publishers. They were also very important as a recommendation for potential customers.In 1716 Homann published his masterpiece Grosser Atlas ueber die ganze Welt (Grand Atlas of all the World). Numerous maps were drawn up in cooperation with the engraver Christoph Weigel the Elder, who also published Siebmachers Wappenbuch.Homann died in Nuremberg. He was succeeded by the Homann heirs company, which was in business until 1848. The company was known as Homann Erben, Homanniani Heredes, or Heritiers de Homann abroad. 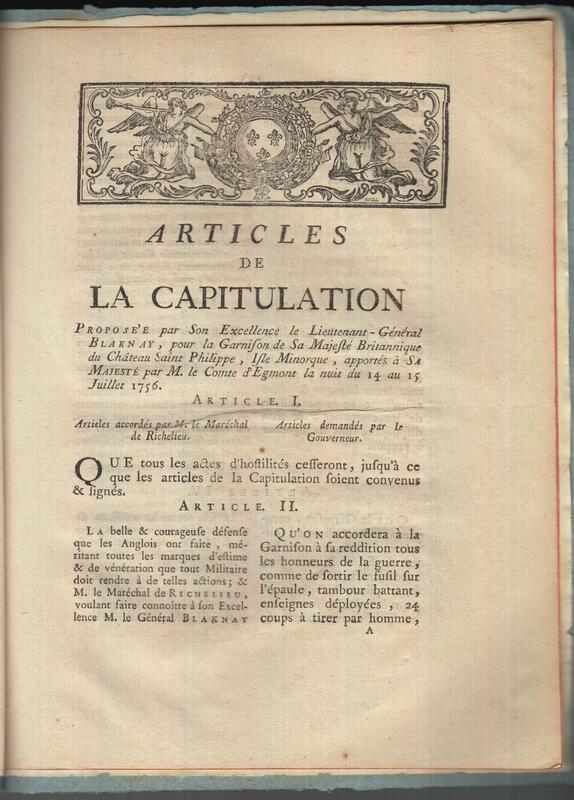 Articles de la capitulation du fort St-Philippe et isle Minorque [proposée par le lieutenant-général d'Angleterre Blaknay et accordée par le maréchal de Richelieu].